Welcome to another week of Travel Photo Thursday. This has been a week of computer challenges. I opened up my relatively new (less than a year old) Lenova laptop on the weekend and was greeted by the dreaded blue screen. In the end I had to reformat the computer, and have spent my free time this week downloading and installing programs, etc. etc. I also had to recover a lot of photos, and am now in the process of reorganizing them and getting them on to my portable hard drive. Actually, it was a huge surprise to me that I had not already done so. It seems that when I was traveling this past winter I downloaded many photos to my C drive with the intent of moving them to my back up hard drive, and forgot to do it! This week I am pleased to announce a contest. Simply paste your Travel Photo Thursday link in Mr. Linky below, and like Budget Travelers Sandbox on Facebook. The contest is open until midnight this coming Sunday. 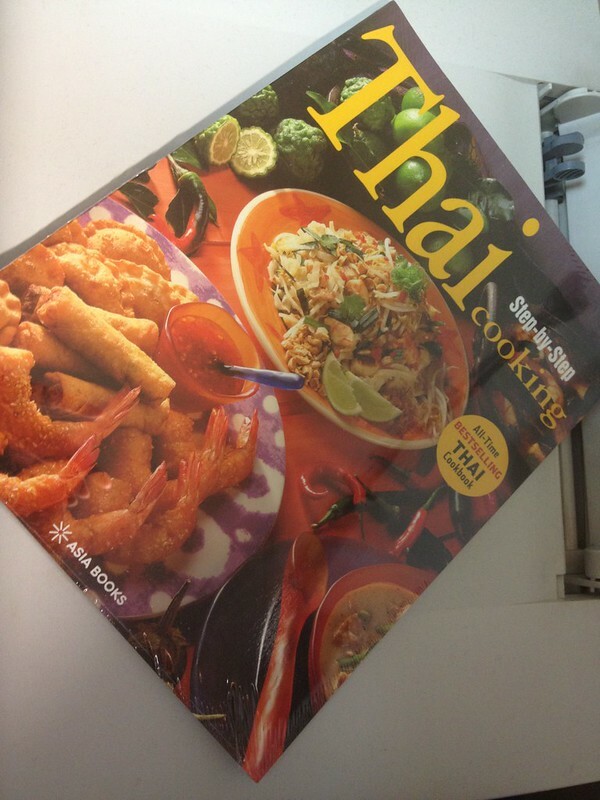 On Monday I will pick a name at random and one lucky person will win a copy of “Thai Cooking: Step by Step”. 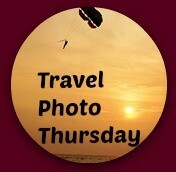 Please note: Travel Photo Thursday is open to all individual travel bloggers. If you are the owner of a commercial travel site/blog, please contact me directly and we can discuss available advertising/sponsorship options. My email address is nanciemckinnonatgmaildotcom. Since I am giving away a Thai cookbook this week, I figured it would be a good idea to feature some Thai food. 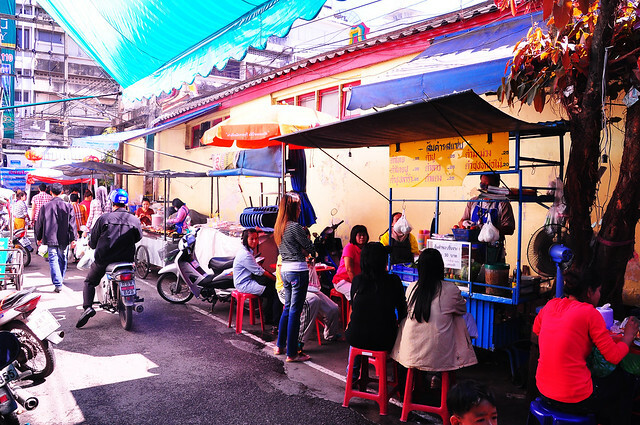 There is a short alley way in Chiang Mai’s Chinatown that has some of the best street food I have ever tasted. 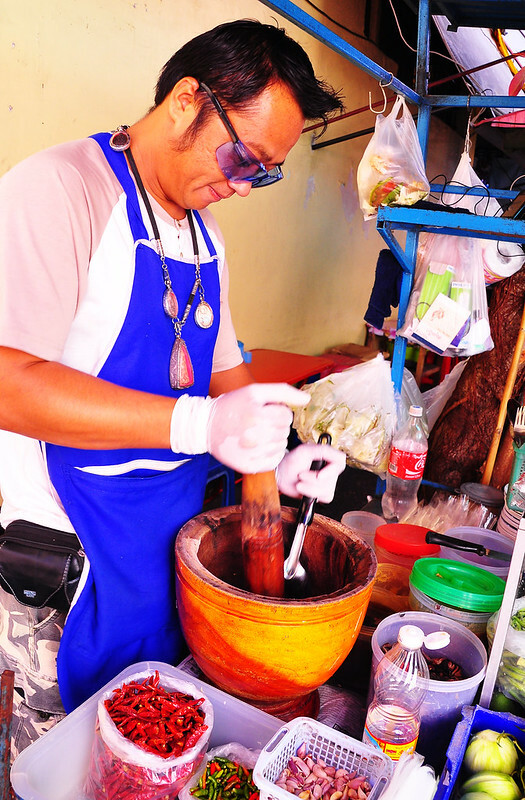 My favorite vendor is a husband and wife team who have been making som tom salad at their alley stall for the past ten years. I love, love, love their salad; THE BEST! I love my som tom VERY spicy. The green sprigs on the side are morning glory. This along with the piece of cabbage help to control the heat in your mouth. Take a bite of either and things will cool down. Like I said before this is the absolute best som tom salad I have every eaten, bar none. How much, you ask? 35 baht…($1.13US!! ); any budget traveler’s dream!! I have tried the sausage, and it is also very good. The thing is, once I finish the som tom salad I don’t have room for anything else. Finding Street Food Alley (This is my nickname for the street) is not that difficult. Located downtown in Chiang Mai’s Chinatown, right beside the small Chinese temple. The vendors are open from late morning to late afternoon. Everyone is usually gone by 5pm. 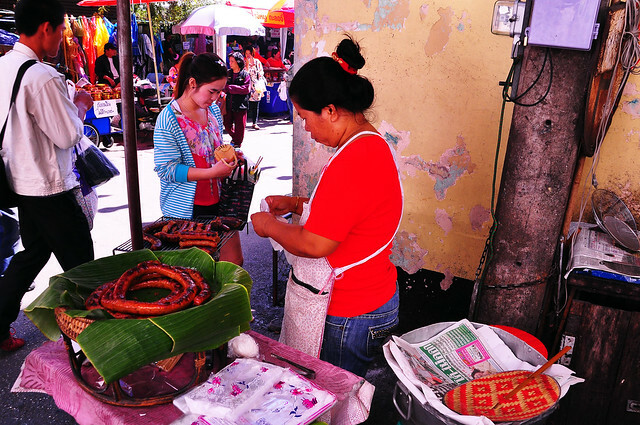 If you are in CM, don’t miss your chance to try some of the best street food in the city. Who can resist a delicious lunch for less than $2.00US (much less! 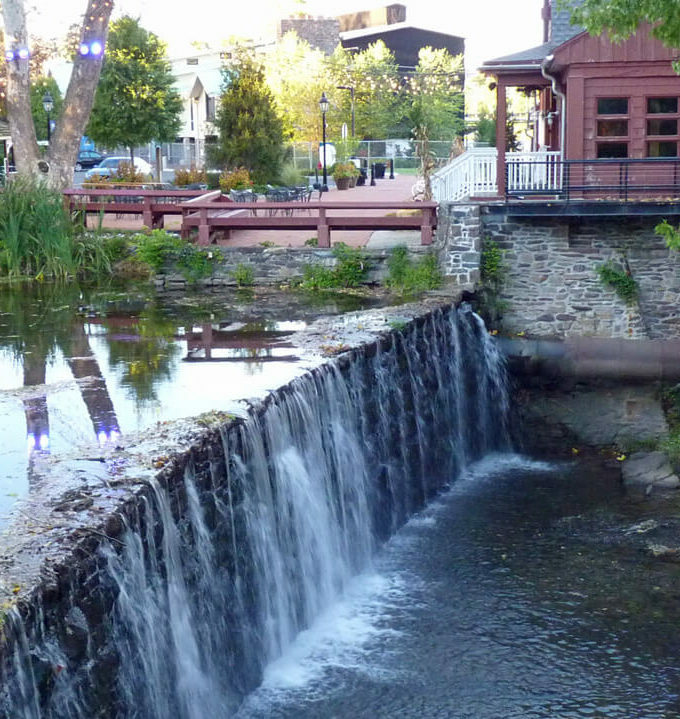 ); a dream lunch location for any budget traveler! Finally, a shot of this week’s prize…. Like and follow BTS on Facebook. Good luck to everyone who enters the contest! mmm…would be a good start to restocking my cookbook library after having moved to Australia! There are few things I love more in the world than Thai food.  That salad looks FANTASTIC. Trust me Bob, it was amazing!! I want to fly over right now just to have a huge helping! Your photos are delicious!! I hear you on the computer problems – my 3 month old computer died in February and it took almost 5 weeks for HP to get it back to me – it’s very frustrating to deal with. I hope you got through it ok without losing anything! I love Thai food too but don’t manage to cook anything more interesting than Pad Thai or a satay dish. What a deal for that yummy salad. Buying an external hard drive is high on my to do list and I really should make it a priority this weekend. Your experience is a warning to me. Leigh, if only I had remembered to transfer the photos. Thankfully, my photo recovery program found them all. Now I have to get them reorganized. I do like spicy food, but I think that might be a bit too spicy for me. So sorry to hear about your computer woes! That som tom salad looks incredible. I can’t wait to try all the street food when I visit Chiang Mai. If that’s chili he’s got in the mortar, I think I would like to have that book for this som salad. Love, love, love Thai food. My travel buddies and I are planning a trip to Thailand next year. I’m going mostly for the food!!! The salad looks super delicious. Peanuts, right? I never eat peanuts, except in Asian food. They just fit perfectly with the spices and everything else. Yum! Who doesn’t love Thai food? Sorry about your computer problems–it reminds me that I need to back up my photos more often. Love the vibrant colors and scenes. I absolutely want to have lunch in Street Food Alley. Sorry about the computer troubles — I’m having some myself, will have to return this piece of crap to Amazon, has been giving me probs since I bought it (Aspire One). Bah! What a yummy way to start the day! Great photos that make me want to return to Thailand. Aren’t computers a wonderful thing at times? Hmmm, now that’s a salad I can get excited about  I so want to visit Thailand! I am ready for some Som tom salad! Make mine spicy too. A few years back when I was going to have dinner in a local restaurant specializing in Asian cuisine, I did a Google search on wine pairing and discovered that the wine that Thailanders like to drink most is Cabernet Sauvignon, whose tannis simply increase the “heat factor” of the food! In Amsterdam, we ate twice in a great little Indonesia restaurant near our hotel, but found that even the “mild” spice in the dishes was flaming hot to our wimpy Westernized palates. Our local tour guide said forget drinking water, beer, or even a white wine (like Gewurztraminer)will a bit of residual sugar, imbibe something with lots of sugar if you want to put out the “Five Alarm Fire” going on in your mouth. 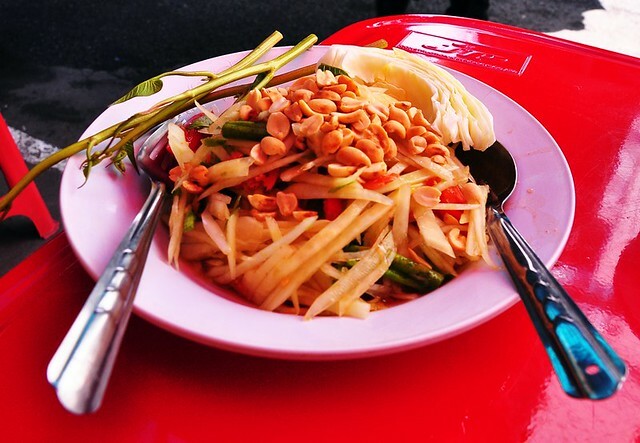 I love Thai food and that salad looks amazing…love peanuts in everything – but I don’t know if I can handle the spice!!! Somtam is my favorite Thai dish and I also like it spicy, but it never turns out as good when I make it at home. Had to pop back over to thank you for linking up this week! Have a wonderful weekend! I’ve never tried (or even seen) som tom salad, but a salad that you need to cool your mouth down from? That sounds like a dream to me. I’ll be keeping my eyes open for this in the future. I just love these kind of places for their atmosphere, as well as the food. Very nicely shown in this series, too. And by the way, in my case when I travel, as my desktop external hard drive and backup drive are too much to take with, my originals (via Lightroom) on the trip go on the laptop C drive, and are backed up on a small external drive all the time. Once I get home, I transfer them to the main drive and backup. I really recommend taking cooking classes, and as I recall CM had a lot of classes available. Why not do whatever you can to be able to continue enjoying those yummy flavors after you’ve gone home? Also, I think street food can sometimes be safer than food from a sit-down restaurant. At least you can observe the “kitchen” and decide if it’s a place you want to eat.